April | 2016 | GUNNY.G: COCKED AND LOCKED ~ ONCE A BLOGGER ALWAYS A BLOGGER ! Gunny G: Sheriff Clarke: ‘Best Thing About Obama Presidency Right Now Is It’s Coming to an End’….. ~ Re READER RESPONSE: “”…Exactly. What makes him sure it will come to an end? Remember what Obama said… “Donald Trump WILL NOT be the nominee”. Looks like Obama and his minions from both parties have some plans up their sleeves. I pray I’m wrong….”” ~ BLOGGING BAD! This article is a statement of the facts, and is not meant to, or intended to, be interpreted as a political endorsement, or lack thereof, of any political candidate. Family Security Matters takes no political point of view whatsoever. On April 26, 2016 Breitbart published Brent Bozell’s open letter asking Sarah Palin, Ben Carson, Mike Huckabee, Phyllis Schlafly and other conservatives to withdraw their endorsements of Donald Trump. Well, Mr. Bozell, we already know that the Republican Party doesn’t mean a word that it says. After the 2014 election, when voters gave his party control of Congress, the Republicans “rewarded” their constituents by enthusiastically facilitating the funding and implementation of Obama’s “illegal” executive amnesty. Hillary: Young People Need To Understand “Guns Are Never An Answer”….. Re Never? See Hillary and The Waco Massacre…!!!!! ~ Gunny G: BLOGGING BAD! Hillary: Young People Need To Understand “Guns Are Never An Answer”….. Re Never? See Hillary and The Waco Massacre…!!!!! Democratic presidential candidate former Secretary of State Hillary Clinton declared, “We have got to help our young people understand, guns are never an answer” during a town hall on MSNBC on Monday. NOTE: NEVER??? Re The Waco Massacre!!!!! Speaking Of Horace Greeley… and Hillary…Re When Karl Marx Got His Foot In The American Door !!! ~ Gunny G: BLOGGING BAD! Speaking Of Horace Greeley…Re When Karl marx Got His Foot In The American Door !!! GyG NOTE: See ”OLDER ARTICLES” LINK @ Bottom Above Link! “Almost a year ago, recruited for my public relations and public policy expertise, I sat in Trump Tower being told that the goal was to get The Donald to poll in double digits and come in second in delegate count. That was it. “But something surprising and absolutely unexpected happened. Every other candidate misestimated the anger and outrage of the “silent majority” of Americans who are not a part of the liberal elite. So with each statement came a jump in the polls. Just when I thought we were finished, The Donald gained more popularity. Gunny G: ~ Mister TRUMP! Real AMERICANS (Not AINOs) KNOW He’s THE ONE… AND ONLY ONE! !!!!!!!!!! ~ BLOGGING BAD ! Mister Trump has America’s Six! Skip to comments.I am a Southernerhttp://civilwartalk.com/threads/i-am-a-southerner-i-wont-apologize.13443/ ^Posted on 4/15/2016, 12:36:26 AM by NKP_VetI am a Southerner…I won’t apologize I won’t be reconstructed. 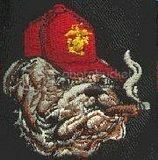 Gunny G: Mr. TRUMP Pic, Etc…Scroll Down @ Link!!! ~ BLOGGING BAD! Gunny G: Mr. TRUMP Pic…. Gunny G: The Trump Challenge – LewRockwell… ~ “…He’s confronting the post-World War II international order – and winning…” BLOGGING BAD! The candidacy of Donald J. Trump has upended American politics, and, indeed, has changed the political landscape in ways our liberal and conservative elites never expected and clearly abhor. He talks like an ordinary person, for one thing – a rarity in a realm where politicians routinely speak as if they are giving a speech before the Peoria Rotary Club. Unrehearsed and raw, he doesn’t do “talking points” – and this, I think, more than his controversial proposal to deport millions of illegal immigrants, has provoked the policy wonks and the “intellectuals” into paroxysms of contempt. Vanity | 4/1/2016 | Pocono PunditPosted on 4/1/2016, 6:51:50 AM by poconopunditTrump’s promise to build a Great Wall across America’s southern border is the cornerstone of today’s movement to take back our country from the corrupt leaders on Wall Street and in our government. But Trump’s call for a defensive perimeter extends far beyond mere physical walls. It’s also about the right to protect our private property from the greedy hands of the leftists. Wrapping some deeper thinking and images around the concept of Walls is what this story is about. Many thanks to FReeper tinyowl for inspiring many of these thoughts. Let’s first take a look at protective walls and boundaries through the prism of martial arts.The heritage of Chinese martial arts like Kung Fu and Tai Chi has brought us some enduring graphic symbols to think about. One such symbol is a garden surrounded by tigers. 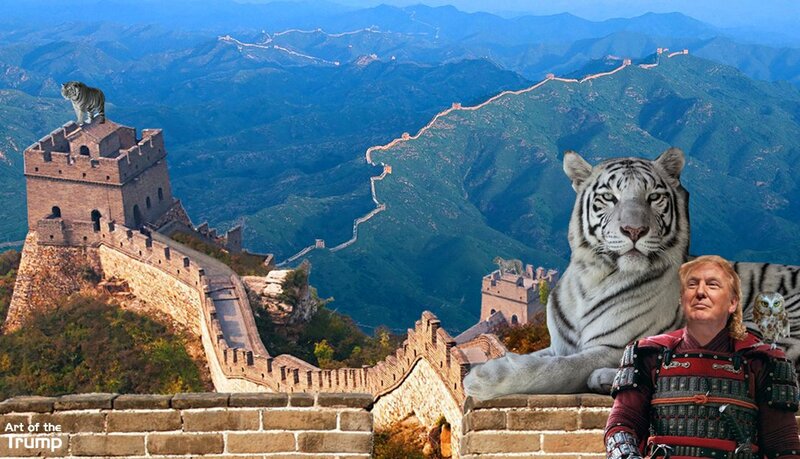 To preserve that peaceful, beautiful and gentle garden, we need tigers to protect it.